Small and medium-sized businesses choose a hosted platform to help support their technology infrastructure. Our cloud solutions solve business problems and promote business growth. Our customers feel safe in the experience we hold in hosted cloud architecture including management, deployment, and security. Our Flagship Cloud Services include hosted Terminal Services, hosted servers and desktops, hosted Exchange, and hosted VOIP. Our customers look to us to orchestrate the evolution of their business information technology. 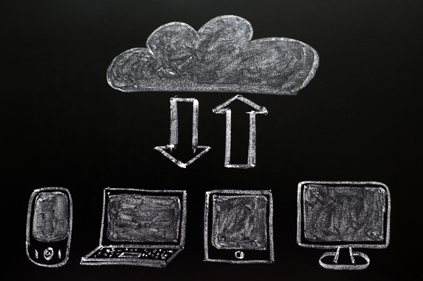 Our cloud services replace antiquated technology while enhancing business performance. Our cloud services scale and adapt to your business evolution. Our Flagship Cloud Services include hosted Terminal Services, hosted servers and desktops, hosted Exchange, and hosted VOIP. Ensuring your company’s data is secure is extremely important. Our cloud solutions will give you peace of mind that your data is secure. Our cloud solutions are designed in a security-minded data center that provides physical and technical safeguards. We enable our customers to have complete control over their data. We work closely with our customers to define security and what it means to them. By tailoring custom cloud solutions with for our customers, we are able to protect their business and promote strong security with customer service in mind. Our team of cloud specialists can provide the best ways of cloud delivery for your business. We will help you migrate your services and move your data into our cloud architecture.